Three top custom integrators partner to unveil new affordable nationwide remote service monitoring program dubbed Parasol with affordable monthly price range. The activation of Parasol is embedded directly into the SnapAV OvrC interface. The service aims to reduce truck rolls, improve employee morale, and boost client satisfaction. To get custom integrators over the mental and operational hurdles of offering service to their clients, it has to be simplified. That was the goal of the three integrators who created Parasol, a new affordable 24/7/365 remote monitoring service for the custom installation industry. Parasol, dubbed as a remote support program “for integrators by integrators,” is based the SnapAV OvrC remote managed services platform. In fact, activation of the service is actually embedded into OvrC and literally enrolling clients is as easy as checking a single box. The “always-on remote support” has an affordable monthly fee with the aim of bringing much-needed relief to integrators and their clients, while also creating a recurring monthly revenue (RMR) stream for dealers. 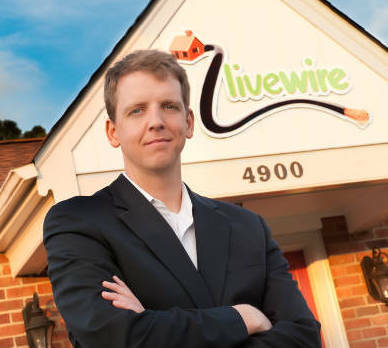 Henry Clifford of Livewire in Richmond, Va., is one of the three co-founders of Parasol. He has cut his service truck rolls by 80%. With the service, integrators’ clients can call, email, text or chat with an expert anytime, day or night, about system problems with most issues resolved immediately. Technical staff monitors installations proactively, keeping small issues from turning into big problems while reducing the need for costly service calls and driving up client satisfaction. "Providing 24/7/365 support is going to be vital for the relevance of a custom installation business in the very near future." At ETC, Bremekamp says remote monitoring has always been a part of the company’s service offering, but it wasn’t easy. “It was always hard to stay on top of it. It is so important to provide remote monitoring for high-end clients, especially with the information you get before the truck roll. It makes the service technician so much more efficient. Parasol takes the remote monitoring off our plate so we can focus on customer relationships and service. Plus, it allows us to bring 24-hour service to our clients whereas before we were just providing service during normal business hours,” he says. The trio first got together in January 2017 to begin the process of building Parasol and monitoring each other’s clients to learn how best to implement proactive 24/7 support. After one year of hard work, they have onboarded hundreds of their own customers, and honed their processes and technology. Now, they have Parasol ready to scale nationally. The first wave of integrators is coming on board via an invitation-only expanded pilot running through mid-2018. Interested integrators should visit getparasol.com to sign up for their next phase beginning late 2018. The central stations are located in Las Vegas and Richmond, Va., with full redundancy, similar to the security monitoring model. The company is interviewing industry veterans to fill key roles with planned announcements coming early Spring. In the meantime, day-to-day operations are being run by Clifford, Bremekamp and Simmons. 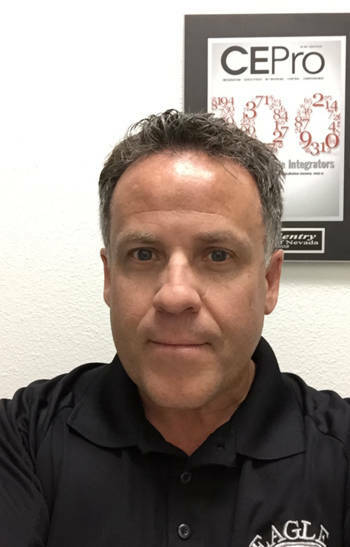 At Eagle Sentry, Greg Simmons is bundling the Parasol network monitoring service with his 3-year security monitoring contracts for some clients. 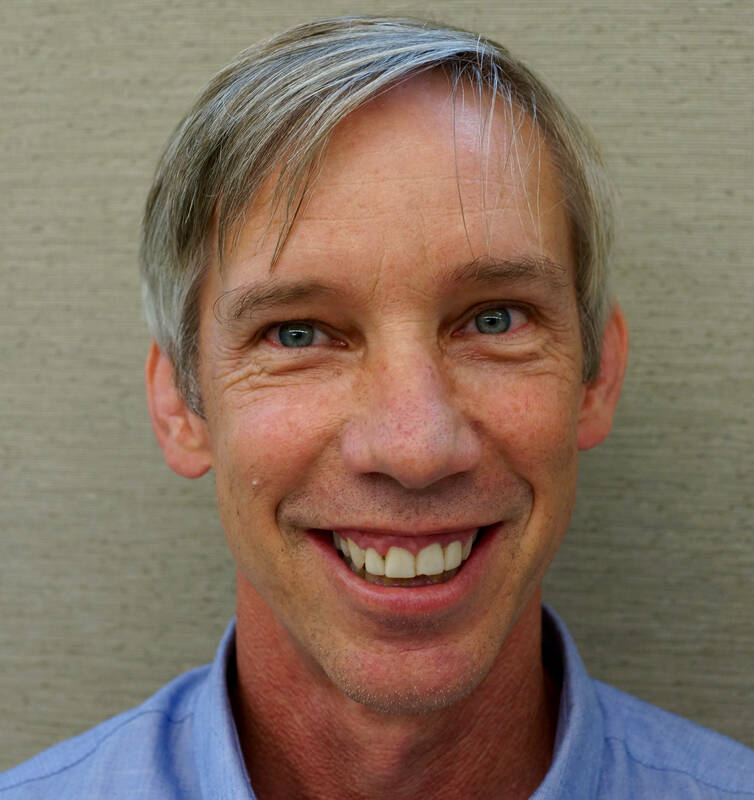 “We’re blown away by the difference Parasol is making with our clients and employees,” says Clifford of Livewire. “Homeowners love the peace of mind that comes with 24/7 support while our technicians are able to enjoy their personal time knowing Parasol agents are taking care of our clients around the clock.” He says he has seen an 80-percent reduction in service truck rolls with more improvement on the horizon. At Eagle Sentry, for example, Simmons is bundling the service with his 3-year alarm monitoring contracts. Clients can get special product discounts for inking the long-term contract. But integrators can choose to offer month-to-month contracts if they desire. Likewise, dealers can charge a higher monthly fee for elite clients with more sophisticated systems. Parasol does not place any sort minimum contract term length on integrators. If a call is unable to be resolved by Parasol and it elevates to the point where the integrator will need to roll a truck, the system will communicate with the dealer in the method of his choosing, whether it be email, phone, text, Slack or otherwise. "Dealers will not be required to invest in any additional software that they don't otherwise already have. We want to keep it simple," says Clifford. There are several available remote management platforms on the market, but the trio says SnapAV OvrC is the perfect fit. “With other systems, I had to piece it together. OvrC gives me a router, WattBox and the OvrC Pro module that all talk to each other. It is one platform with great consistency. OvrC is built into Autonomic, Luma and soon Visualint, you have a much better view of what is going on inside that customer’s home. We also know that SnapAV has a roadmap that will build on OvrC that will continue to make it better. We wanted a solid partner and we have it in SnapAV,” says Simmons. Ted Bremekamp of ETC says Parasol has allowed the company to bring 24-hour service to its clients whereas before they were just providing service during normal business hours. For example, elements of cybersecurity and other improvements are likely coming down the pike, according to the group. Parasol is actually embedded inside the SnapAV OvrC interface, so all an integrator has to do to activate an account is literally click a single box on the OvrC dashboard. Automated billing ensures both integrators and homeowners are free from the hassle of dealing with more business complexity. Integrators can choose to bill their clients directly or have Parasol collect on their behalf. Heyman notes that the OvrC platform is already in more than 150,000 homes nationwide, so the platform can easily scale with any central station monitoring growth Parasol might encounter. Parasol caters to integrator and homeowner pain points on several levels. First, from the lifestyle standpoint, integrators and technicians have grown accustomed to receiving text messages from angry homeowners during dinner. That business model leads to burnout and turnover. Simmons says having Parasol solves that lifestyle intrusion, boosting employee morale. Meanwhile, Eagle Sentry has instituted a system in which its service technicians actually sell the service as an upgrade while in the field with a 5 percent commission. He says the service team is elated. “We are solving the labor shortage problem on two fronts,” he comments. “The industry is clamoring for solutions to make the vision of RMR a reality." In addition, instituting a remote service program leads to the establishment of improved operational efficiencies and structure, which benefits dealers’ bottom lines also. The Parasol Onboarding Kit outlines some of those operational changes integrators can undertake. Also, homeowners are equally frustrated, often finding their integrator closed when they’re home using the home technology systems they’ve invested heavily in. Lastly, most integrators recognize RMR is key to helping maintain steady cash flow and build valuation to a business, which creates an exit strategy if desired and an asset that can be borrowed against for future growth. Thanks for your question about Parasol’s revenue model! We studied our costs to serve clients very closely and arrived at a price point which is profitable for the integrator, affordable for the homeowner and sustainable for Parasol’s long term growth. I’m trying to figure out the math. I say this because I cannot see how this covers the costs of a full time 24/7 staff with enough bandwidth to handle ‘hundreds’ of clients. I know Henry is a business guy so I am sure all of this has been thought through. Maybe you could shed more light on it? Great questions! Check out http://www.getparasol.com/product-information/ and the Sample Dealer Sell Sheet to find out more about what Parasol can monitor and support. We are not in the security system monitoring business. OvrC supports hundreds of products from many different manufacturers. Do you have to use all OvrC enabled brands with Parasol? No. Keep in mind the more visibility Parasol has into your installations, the better the client experience. Think of Parasol as better with OvrC-enabled products, but we welcome myriad products into the mix. What’s the common thread? Great Parasol dealers are willing to participate in standardizing their installations and labeling outlets, etc. using consistent language. All of these lessons we’ve learned inside our own integration businesses first. Hi Jason….. Good introduction of the new Parasol venture. A short article like this cannot display all of the Parasol RMR business model, so maybe a followup article. We are missing an important part…. what do you do for the RMR. You are monitoring what, to do what? I went to the website, but not the answers. Several days ago, we posted a related comment with the IPVM Discussion Group. Excerpts are cut/paste here because Parasol could get some blowback. Is Parasol in the same space? The licensed remote monitoring segment of the alarm industry is still highly fragmented, leaderless, and functioning in conflict with public safety. This status was reinforced by recent Newsletter debates among leading providers of hardware, software, services, responsibilities… and arrogance. Their ageing business model (with added bells and whistles) assumes local police will jump, on-demand, whenever they call for help, for whatever reason. Which provides justification for law enforcement to exit from the aging “public/private partnership”… ie. treat monitored deterrent property alarms like nuisance auto alarms. Local cops are focused on UPR “Unnecessary Police Response”, while monitoring firms are still focused on management of “Alarm Signals & False Alarms”… very different problems/solutions. And the recent ADT/Apollo IPO has forced lots of uncomfortable “disclosure”. The basic business model is broken and needs to be replaced, not just tweaked or repaired (Near 99% error/false = 8-15 % police budgets). The cops will win this tug-o-war!! Firms in this space include ADT; Lydia/dba COPS; Rapid Response; EM24; Monitronics/Moni; (2000 more); about 20 Million monitored customers that produce about $600 Million RMR with market value about $20 Billion. This could dilute the market value of RMR by several $Billion … a really big deal worth watching and planning if you are a player in this space. .
sounds interested. A few of questions. You reference security monitoring as the RMR model. Are you going to offer/include security monitoring as a one stop shop? Also any plans to expand to other non Snap products for those of us that on occasion don’t use their products? And finally is the self service app dealer branded? Kinda like the OvrC Home client app?